If you are a content marketer then you will be well aware that how crucial the content is for online marketing. And in order to reserve your place as an effective content marketer, you need to learn and excel in various skills. It is a field where you will always keep on learning the new things and would need to change your marketing strategies accordingly. In this write-up, we are going to mention the most important content marketing skills that you need to excel in. Mastering these skills is not a task of a day or a few but you should start working on them from today; only then you will be able to learn and master them. Writing is not all about putting the right words in order, but you need to do a deep analysis of what to write and how to write. Along with doing a thorough research on the topic and analyzing others’ ideas, you also need to incorporate your own ideas. Along with being clear in your words, you also need to be persuasive. Your writing should be snappy and clear in a way that it would make every reader feel welcome, regardless of his knowledge and skills. Writing content is not just writing it; you need to organize the whole write-up in a way that there should be a flow. An attractive intro (that will make the reader curious about reading the body), a proper explanation of the topic and an effective conclusion (that would make the readers feel they have not wasted their time by reading it) are the most important things you need to focus on. So, plan before you start writing. Your interest can make or break your content. When you write on the topics you have an interest in, there is a unique kind of excitement and enthusiasm to write. It lets the readers feel closer and they start believing what you say because the voice has come from the heart. These things cannot be gained when you write on a topic you have no interest in. So, know the topics you love writing on, you won’t mind writing on and you don’t want to write on. Editing is not only about correcting grammar and typos, but you need to have a proper understanding of how readers consume content online. Actually, they love the content that can be read on the move and would take fewer efforts. So, review your content after writing and along with correcting the grammar mistakes, look for the ways by which you can make it better. Things you can do is adding bullet points, inserting images, breaking up the paragraphs and including headings. These things will make the content easily readable and inviting. Research is the root of the content marketing. A well-researched write-up not only lets you make your content knowledgable but it also gives the readers a chance to trust you. However, it is not only the research on the particular topic (you are writing on) that matters, but you also need to do research that which topics you should write on i.e. what your readers would love to read. Visuals can add a lot of value to your content provided that they are relevant and are of high-quality. Photographs and videos not only support your text but also let the readers have a clear understanding of the content. They make your write-up attractive and engaging. Also, these visuals let you explain your ideas in a few words. Therefore, you should add attractive visuals to your content to make it more attractive. Social media is an important part of the content marketing as it lets you increase the exposure of your content. If you want to increase the exposure of your content and gather more readers then you must consider sharing it on the different social media platforms. These platforms can bring a surprising hike in the count of your readers. Connecting does not only mean that you should reply to your readers’ queries, like their posts and comment on them but you should also focus on creating such content that would let you connect with your audience. Learn what they want to read, what makes them tick and what works best for your readers. You will automatically get connected to your audience by doing so. 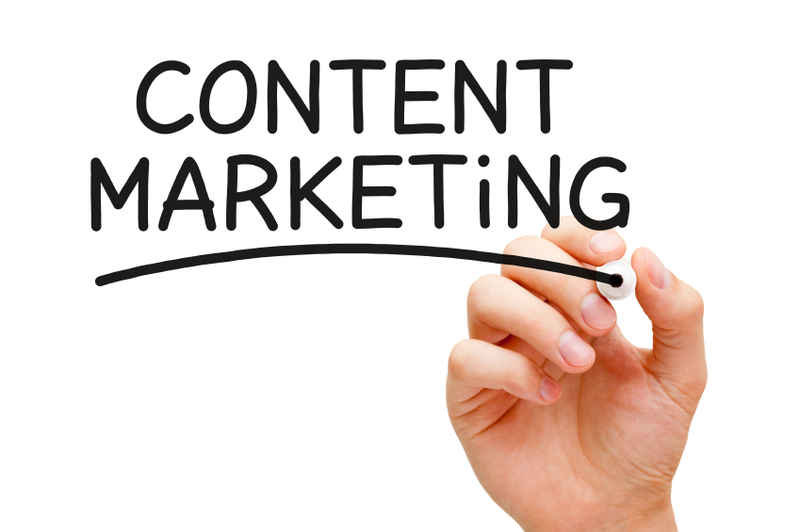 Content marketing is a growing field where you will always get to learn the new things. So, in order to stay with the trends and hone your skills as per the industry requirements, you need to get your hands on the above-given marketing strategies. In addition, you must remain updated with the latest trends and contemporize yourself accordingly.